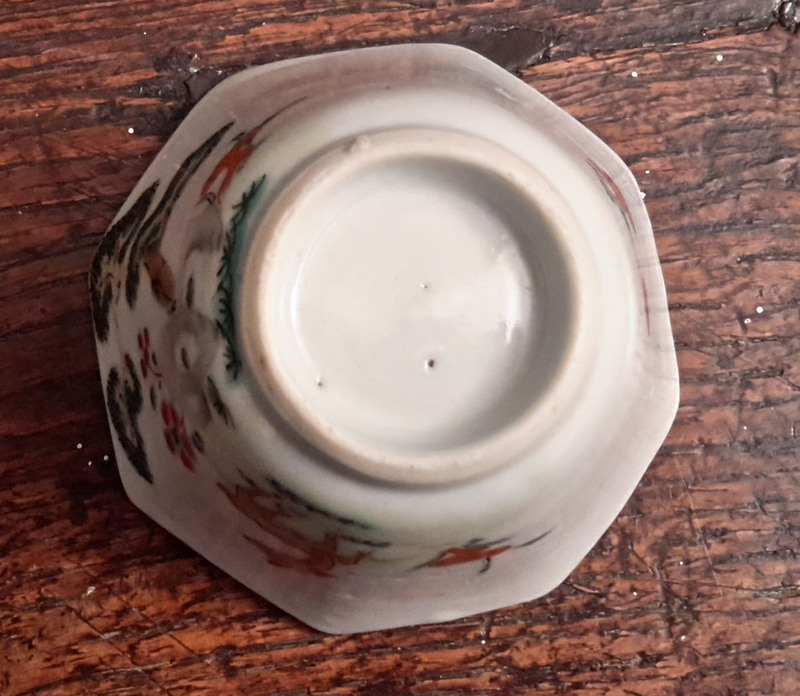 This cup is very small, about 3 cm high. 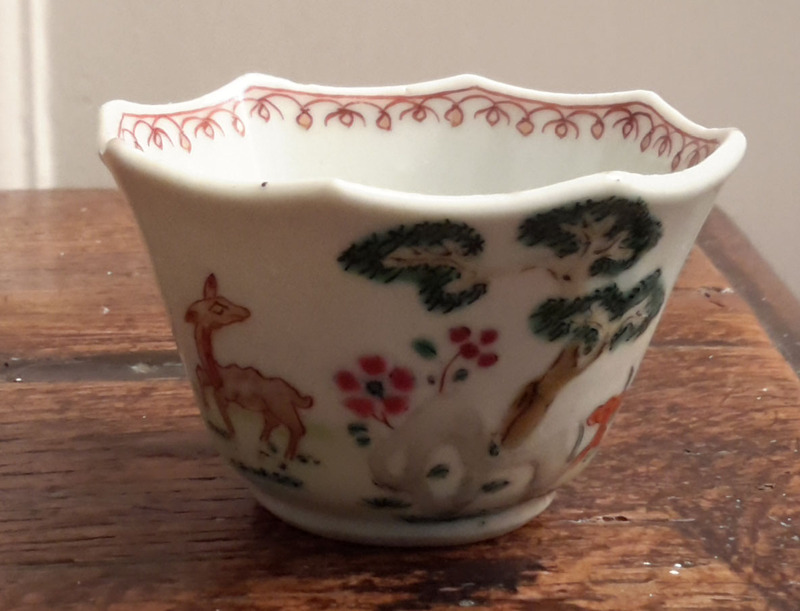 Can anyone offer any opinions as to date and origin? 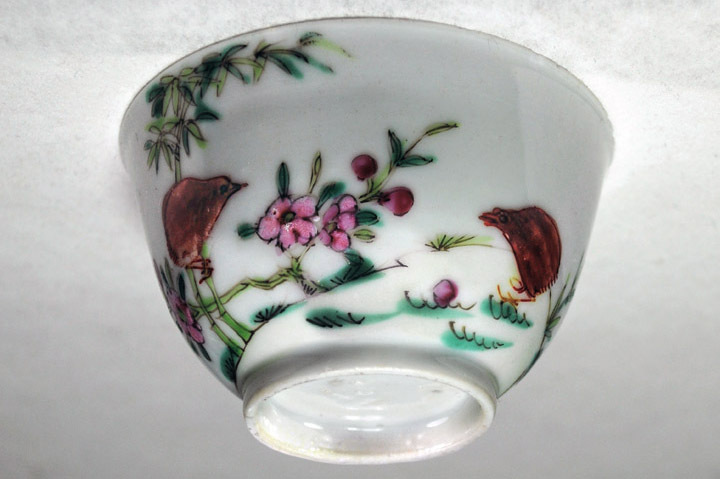 I believe your cup probably is Chinese and datable to the 18th century. 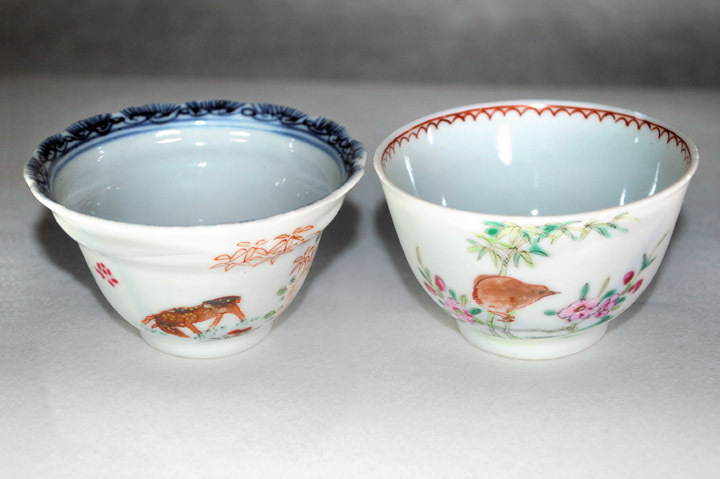 This opinion is based on what I perceive to be similarities of some of its features, notably its painting style and diaper around the inner rim, to those in cups from my own collection, which are datable to the Yongzheng-to-Qianlong era (1723-1795). I'd expect yours to fall within that time period, but Plasticman is better informed on Chinese export of that period than I am, and his opinion would be welcome. Thanks Bill, that makes a lot of sense to me. 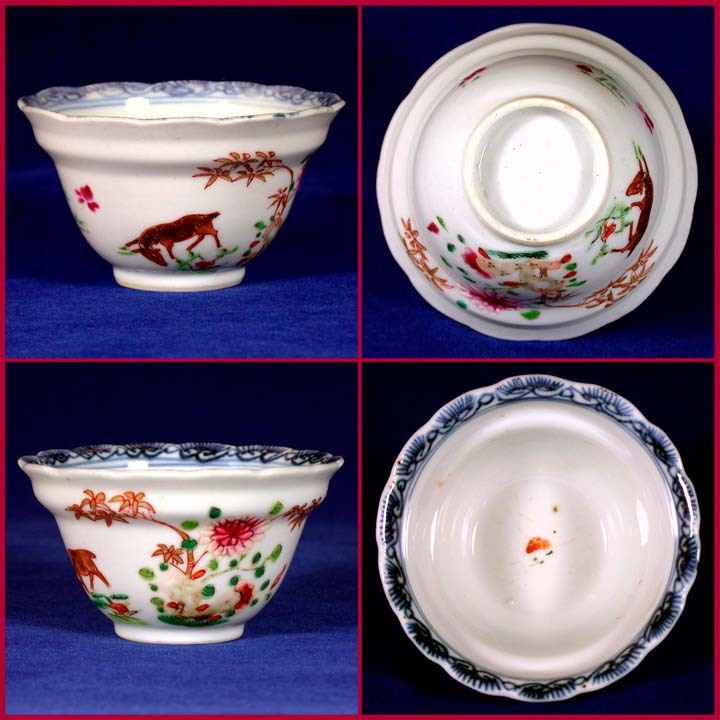 I thought it had some stylistic similarities with Kakiemon but the porcelain body seemed more likely to be Chinese . I particularly like the deer on it and on your piece, thanks for sharing.